We have taken the team approach on The Burns Team to provide unmatched knowledge and customer service to our clients. Our team consists of four Senior Mortgage Specialists with over 50-years of combined industry experience: Brett Burns, Mike Burns, Robert Meunier & Nathan O'Neill. 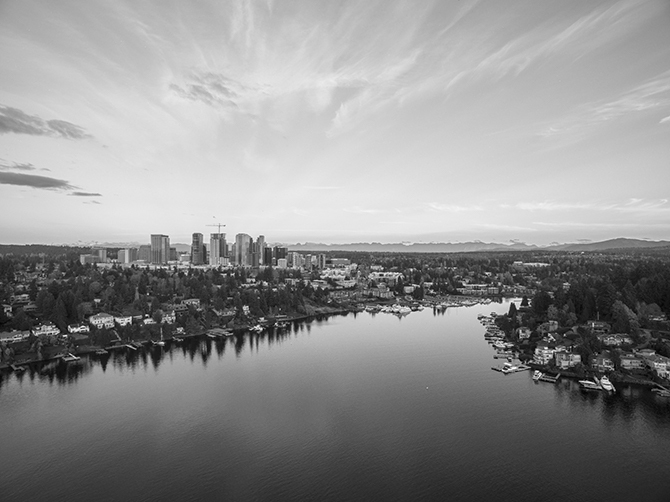 The Burns Team is headquartered in Bellevue, WA and provides residential loans throughout the western United States in Washington, Oregon, California, Idaho, and Arizona. As your Sr. Mortgage Specialist, we are committed to providing you with an unsurpassed level of customer service and hope to become your Mortgage Specialist for Life. Mike obtaining his Bachelor of Science degree in business administration with a major in finance from Central Washington University and jumped into a successful career in the wine distribution business. Over the past 30 years, Mike has received recognition as a 15 time Mortgage Originator Magazine Top 100 originator, 25 time chairman’s circle member, and a two time National Originator of the Year. He has also been a Seattle Police reserve officer for the last 20 years and currently serves as an executive board member on the Seattle police foundation. Brett began his career in the mortgage industry in 2005, taking initiative to partner with his father at the age of 18. Brett simultaneously attended Seattle University (class of ’09), earning his Bachelor of Arts degree in business administration, with a major in finance, and minor in economics, receiving Dean’s list recognition 6 times. He now has over 12 years of experience in the industry, and has recently expanded his national and state licenses to include WA, OR, CA, ID, and AZ. Brett has been a top producer and chairman’s circle member since 2010, funding over 5,000 loans totaling over $1,000,000,000 to date. Outside of work, Brett has a passion for the outdoors, enjoying wakeboarding, snowmobiling, mountain biking, and backpacking in his spare time. Nathan resides in beautiful North Bend, WA with his wife and 2 Labradors. He enjoys taking advantage of all the Pacific Northwest has to offer. In the winter months he can be found riding snowmobiles in the mountains. During the summer its dirt bikes, camp outs, and BBQs. Spring and fall bring fishing and hunting. When he is not out running around the PNW, Nathan spends his days as a Loan Officer on the Burns Team at Directors Mortgage. Since joining the team in 2012, he has used his expertise to help educate and guide clients through the intricacies of the loan application and funding process.